A new generation of young Black leaders have ignited a movement. They have awakened the nation and the world to the longstanding, daily brutality of state violence against Black lives. There have been daily protests against police brutality in U.S. cities for over four months now, disrupting business as usual, shutting down intersections, bridges, tunnels, transit stations, and highways with clear demands for justice and accountability. And they won’t stop soon. 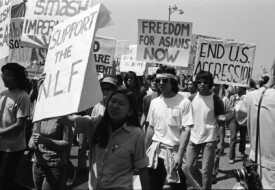 10 Responses to What Does Model Minority Mutiny Demand? The Internet hordes are starting to call it “All Lives Matter.” It is selfish to put one group over all others. This solution has already been found long ago by those in the college of education and social sciences and recently actualized into a government-sponsored program: Teach for America. But how many capable and qualified teachers, especially much needed Confucian-esque Asian Americans, will be willing to move, live, and work in those areas? Khan Academy is also out there, but how many unionized teachers in those communities promote the website for their students to use? In the end, it’s all a matter of self-interests for oneself rather than the greater good. I think the extraordinarily high concentration of Asian Americans in Southern California is evidential enough. But that’s just my jealousy talking. The #Blacklivesmatter hashtag isn’t selfishly putting one group in front of all others, it’s a response to the fact that Black lives are constantly treated as disposable and worthless by our government. 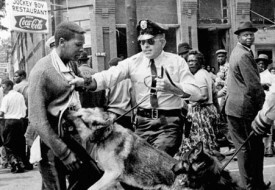 Calling it “#Alllivesmatter” ignores the fact that some lives are not treated equally as others and that police brutality is a huge problem for the Black community in particular, a Black person murdered extramartially every 28 hours and young Black males having 21 times the risk of being shot at by the police than White males. 1) Most people who do TFA are not qualified teachers, and that program itself does not seem sustainable or beneficial to our communities. A personal opinion of mine as someone who’s worked in education, Americorps, nonprofit, etc., that echoes many others it seems. Definitely not a solution. 2) Khan Academy is being used in some classes, but not all students have computers/internet at home to utilize it. 3) Nathan addressed the most important thing, I personally am passionate about education so I wanted to address those other things. The invisibility of Asian Americans should be in the conversation about the “model minority”. When as a people, you are invisible, than the power structure can define you however it wishes. Asian Americans being such a small group, have very little power. Whatever privilege we have is simply being a token to the power structure. As individuals we can speak out on these issues, but how can we come together as an Asian American community? The first step is being able to organize ourselves as a group of people with common interests. Once we are a community and no longer a few individuals with a voice, as a community, we can start to make things happen in this society. Robert Lee Black Lives Matter has opened up a space where Asian Americans can find their stance, aligning themselves with the goal of elevating Black Lives above the racism and victimization that makes the Model Minority a tool to perpetuate it. The recent response to keep White Privilege in place are the cops who seek to undermine DeBlasio and his effort to make changes to the police system. The next step for the Model Minority Mutiny is for Asian/Asian Americans to see is that its possible to spark a counter action to cops turning their backs. Asian voices can recognize Wen Jian Liu as a victim too and support changes in the police structure, doing this specifically as a public Asian stance/demonstration. The goal for this visible Asian position would be to spark the majority who elected De Blasio to recognize the need for them to demonstrate a powerful counter action to show support for NYC as a progressive city. In this way Asians can have a visible role and still be aligned with Black Lives Matter.